Did you know that here are a couple of other railroads in Menlo Park — other than Caltrain. One, in West Menlo, is a private “live steam” layout. Another is a real Menlo Park treasure – the West Bay Model Railroad Association. Located in the old Southern Pacific freight building just south of the Menlo Park Caltrain station at 1090 Merrill Street is a model railroad layout that dates back to 1952 — some 60 years old. When the layout was originally designed and built back in the 50’s, it was crafted to handle three model railroad gauges (or “scale” as they’re known among dedicated model railroaders). The layout hasn’t changed much over the years and still runs O (Lionel), S (American Flyer), and HO scale trains, although changes are in the works. 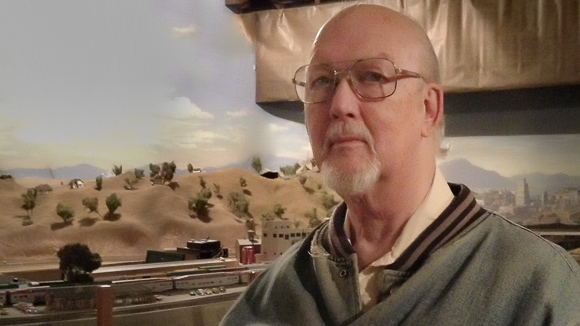 These are serious model railroads — not just “train sets”! When I visited recently, I met with several of the over 20 members of the club at one of their regular Wednesday evening meetings. The club rents the building from the Peninsula Corridor Joint Powers Board, which owns and operates Caltrain. Although the Menlo Park layout is one of the smaller club layouts in the Bay Area, it’s an active group. Once a month, on the third Wednesday evening, the railroad is open to the public. The Club has several upcoming events in December, beginning with an Open House to coincide with Caltrain’s Holiday Train stop in Menlo Park on Sunday, December 2nd, from 7-9 PM. The following weekend, the club will be holding its annual 2012 Christmas Show beginning Friday, December 7th, from 7-10 PM and continuing Saturday, December 8th, 12-6 PM, and Sunday, December 9th, 12-5 PM. Donations of $3.00 per individual or $5.00 per family will be greatly appreciated. For more information, call 650-322-0685. As mentioned, changes are planned for the club’s layout beginning early next year. According to club secretary Joe Freese (below) and member Rich Melconian (above), the current layout is in need of replacement after some 60 years of use. 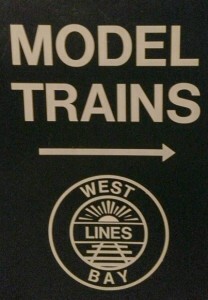 The club is planning to install a new layout in 2013 that will be dedicated to HO gauge with more interesting operational details. Unlike the current layout that runs basically in loops, the new layout will have sidings, switch outs, and other details which will make train operation much more interesting. I’m looking forward to seeing the new layout in operation for the holiday season in 2013! Meanwhile, be sure take the kids — and the young at heart — to see this Menlo Park treasure. It’s a one of a kind treat!